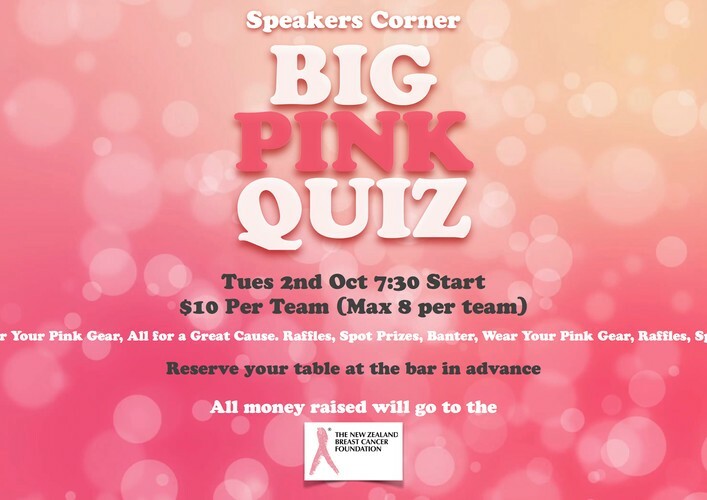 Speakers Corner Big Pink Quiz for NZ Breast Cancer Foundation. Tables to be reserved at the Bar in Advance, Raffles, Spot Prizes, Banter & Quizzery. Come dressed in your best Pink.